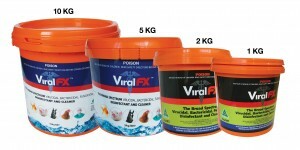 SKU: 24. 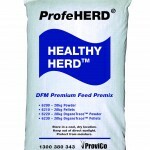 Categories: Dairy Cows, Dry Cows, Production Animal. 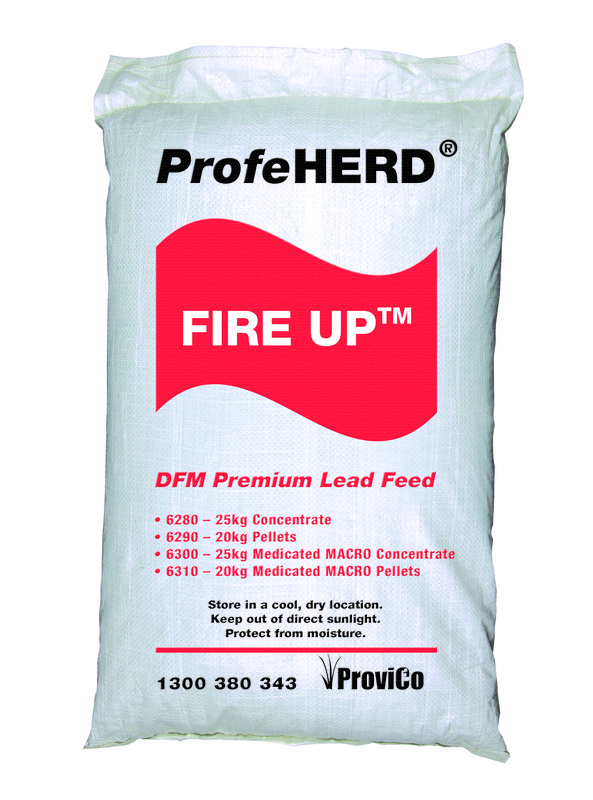 ProfeHERD FIRE UP is a quality transition feed additive of Direct-Fed Microbials (beneficial bacteria, enzymes and yeast) with added vitamins and trace minerals plus anionic salts to prepare the rumen for lactation in the 3 weeks prior to calving. 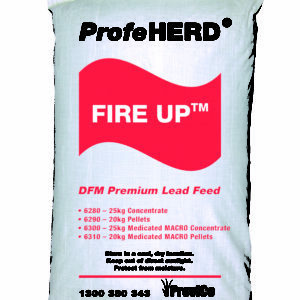 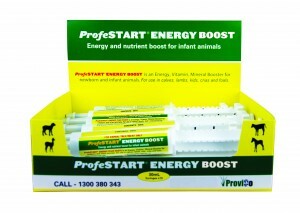 ProfeHERD FIRE UP aids digestion and feed efficiency in both the rumen and small intestine; reduces incidence of metabolic disease and milk fever, retained membranes; and improves milk production in freshly calved cows. 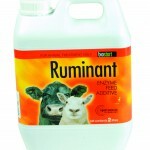 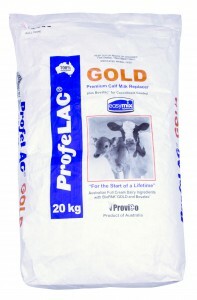 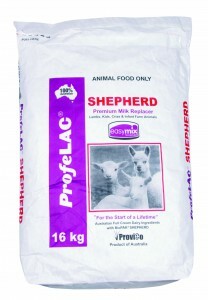 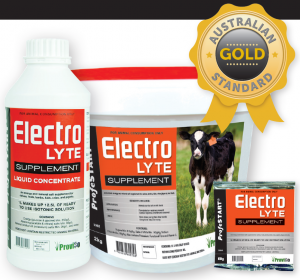 Suitable for home mixers or stockfeed mills as a transition feed for cows NOT receiving ionophores (monensin, lasalocid) in the lactating ration.